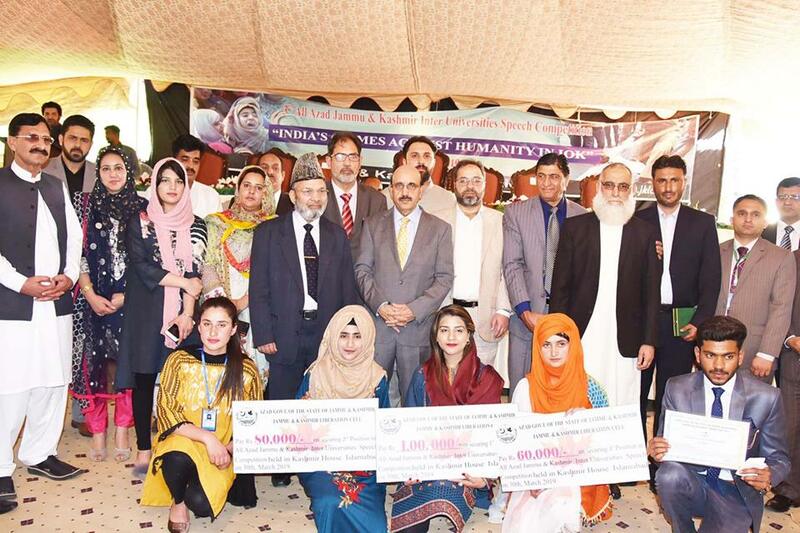 All Azad Jammu and Kashmir Inter-Universities Speech Competition titled as " Crimes Against Humanity in IOK: by Indian Armed Forces held on 30-03-19. The Chief Guest of the Event was the President of the State of Azad Jammu and Kashmir Sardar M.Masood Khan. The President appreciated the team of the University of Kotli and all other universities' students for their active participation. The purpose of the event was to raise voice against ongoing human rights violations in IOK by India. The Vice-Chancellor UoK Prof.Dr. Syed Dilnawaz Ahmed Gardezi Faculty Members & Students University of Kotli attended the event.